Do you love the ocean? I collected lots of 'sea-tokens' to make up this sea blue necklace. The first pendant includes a starfish charm and a slate blue mystic quartz drop. 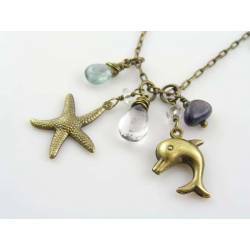 The second pendant is set with a dolphin charm a smooth inky blue Iolite nugget and a faceted sea blue/green Moss Aquamarine. 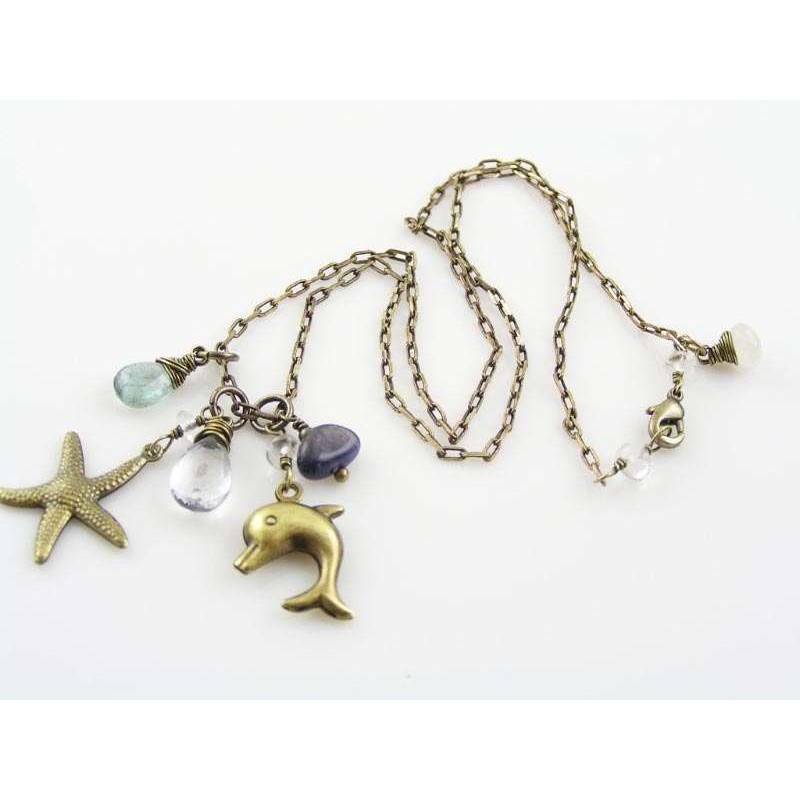 The 46cm long trace chain closes with a lobster claw clasp which has two pale blue topaz links to both sides. 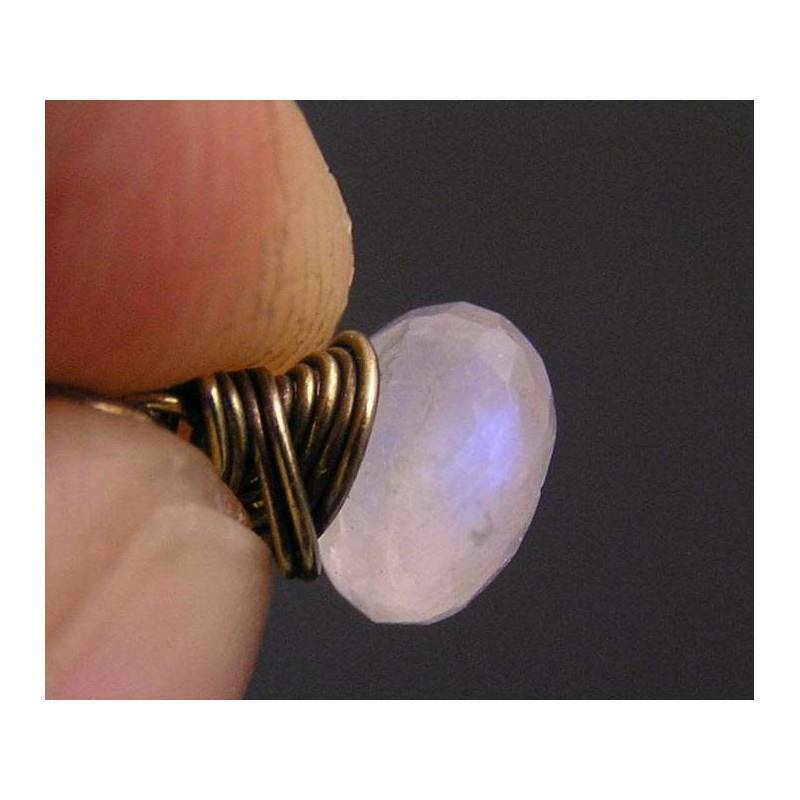 There is a moonstone drop attached right next to the clasp. 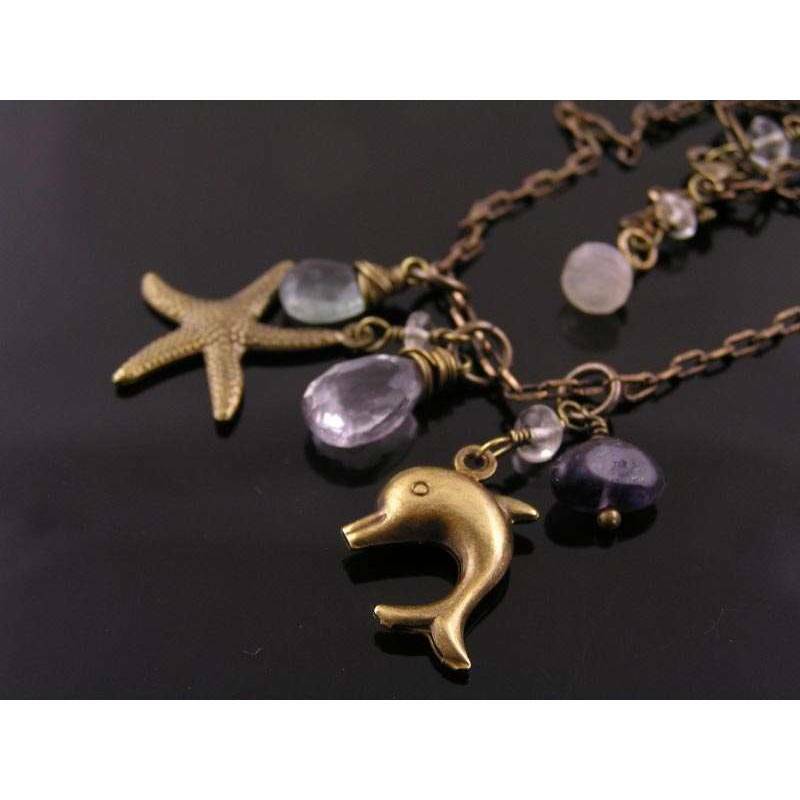 All metal is solid, oxidised and polished brass which has been sealed with a non-toxic jewellery lacquer to preserve the finish.